Ophidiaster granifer Lütken is a small cryptic coral reef asteroid found in the Indo-West Pacific. Its mode of reproduction, shown by aquarium observations and gonad histology, is parthenogenetic. This is the first confirmation of natural parthenogenesis in the phylum Echinodermata, despite many studies showing artificial parthenogenesis in echinoderms. 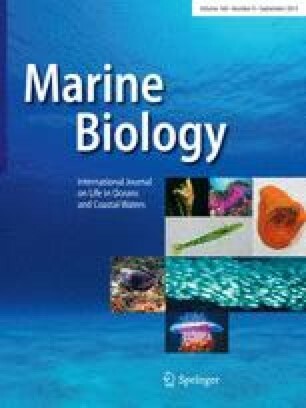 Populations of O. granifer from Micronesia, New Guinea and the Great Barrier Reef consisted only of females: no testes or spermatogenesis were found in any individual at any stage of gonad development of ca 400 individuals. Regular year-round population censuses at Guam, Micronesia, revealed a distinct 0-year class which grew to sexual maturity in two years. There was an annual reproductive cycle with apparently-synchronous spawning in early winter. The large eggs, ca 0.6 mm diameter, develop into lecithotrophic larvae. Some larvae are planktonic, while some remain attached under the rocks. The latter develop through metamorphosis in situ. Parthenogenetic reproduction leading to both stationary and dispersed larvae may be related to the low fecundity and low population densities of this small asteroid.